Scuderia Ferrari's official sponsor, Kaspersky Lab, announced recently that it was chosen as the new IT security provider for the sports car manufacturer. About time right? Ferrari has had Kaspersky Lab as an official sponsor since the May 2010 Spanish Grand Prix and KL branding has been seen on Ferrari’s F1 cars for three consecutive seasons. 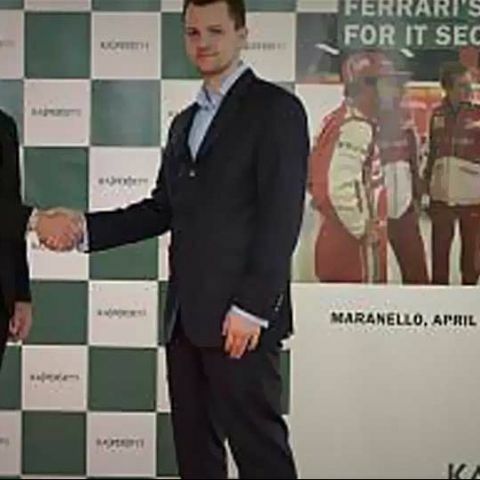 Now, the companies signed a new 5-year commercial agreement in April 2013 following which Kaspersky Lab has started providing Ferrari with complete end-point IT security. 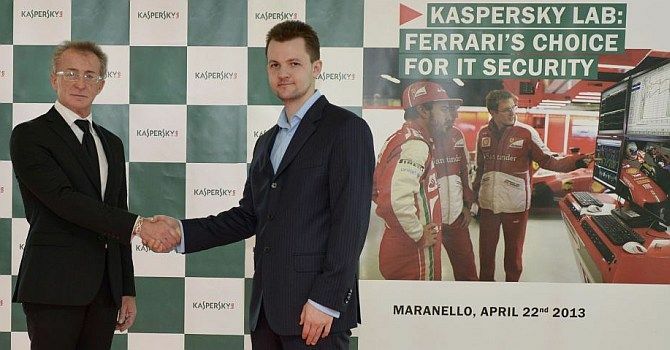 “A partnership in sports is now a partnership in technology”, as Aldo Del Bò, Managing Director, Kaspersky Lab Italy said at the press conference held in Ferrari's manufacturing facility in Maranello Italy. Mr. Aldo also emphasised that the arrangement is not “for free” but one that is strictly commercial and that’s been vetted for suitability. Kaspersky Lab has custom made this end-point security solution in conjunction with Ferrari’s Information and Communications Technology (ICT) department in order to meet Ferrari’s demands. According to the companies, this new solution development process took six-months as it included compliance testing and benchmarking comparisons with other security solutions providers. The solution will be installed on about 4,000 computer systems and this number will increase more when a complete rollout of the solution happens over the next year which will cover Ferrari’s entire application landscape and the devices in it. There was also talk of extending the security to computers controlling production line machinery as well. Vittorio Boero, Ferrari Chief Information Officer, said that Ferrari has been at the receiving end of several intrusion attempts over the years considering the sensitive and potentially valuable information available on their networks. Mr. Vittorio also revealed they were currently using a Trend Micro solution. In the consumer space, KL is competing closely with local competitor Quick Heal for the No. 1 position in terms of sales volume. In the B2B space, the company holds a position among the top 4. KL’s clients in India include the railways, one of largest airlines fleet in India and other establishments. Best Internal Hard disk in India ?